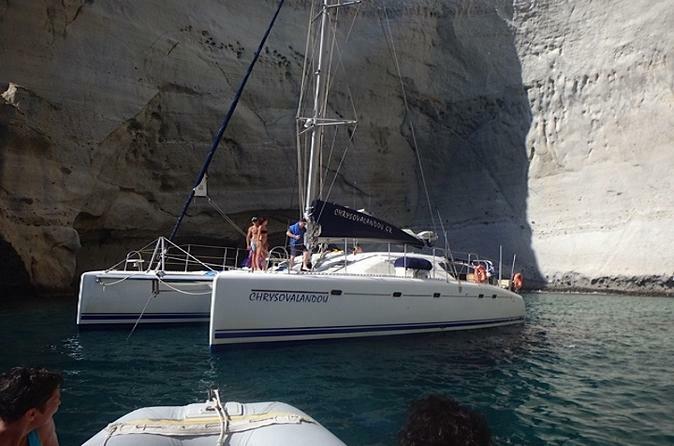 Set sail for a day and enjoy an unforgettable experience at sea in the waters and beaches of Milos. Travel in comfort with a maximum of 10 passengers on this semi-private cruise. Take in a fun, relaxing atmosphere with a day of sightseeing, great food, swimming, snorkeling, exploring, sunbathing or just relaxing on the hammock and having a drink in the boat's shade. 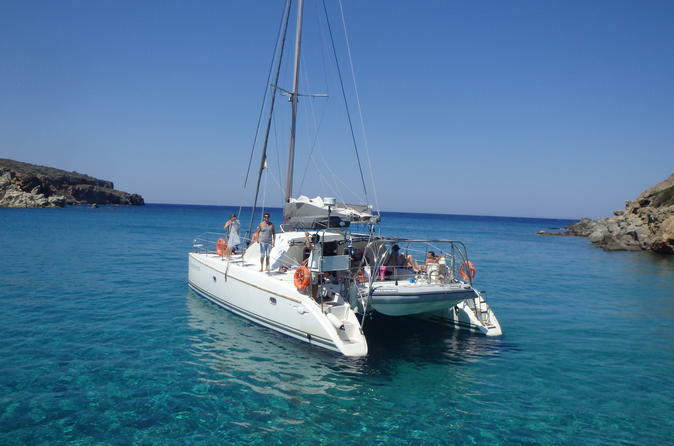 Cruise half of the island: the inaccessible western and southern ends of Milos with time in the bay of Adamantas. Ensure the most of your day with this one-way cruise starting in Adamantas and ending in Provatas (or vice versa). Explore the most beautiful island in Cyclades leave the dream, enjoy the sun and the sea. 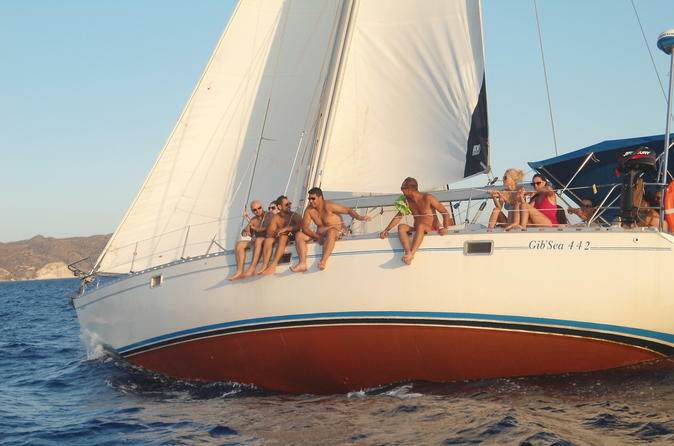 If you love the sea, if you seek to escape from the everyday routine, if you long for the intense emotions in nature, if you seek to broaden your horizons, then a catamaran sailing boat adventure is precisely what you want. Conventional vacationing cannot reveal all the hidden beauties of our islands. The vessel will lead you to beautiful, pristine and isolated beaches, far from the hassle of dealing with crowds.